I must make it clear that I'm not, in any way, in opposition to the birth of Jesus Christ (although He wasn't born anywhere near December 25th). Rather, I'm boycotting the commercialization of Christmas. I'm really getting annoyed by it all. I'm annoyed by all the people racing to the stores, looking for the best sale, making out lists of what to get and what they want, and supporting the lies about a magical jolly fat man who travels around the world to bring gifts (who seems to forget the poor and starving children of the world every year. But, I digress..). I went to Miami for Christmas this year (I'll talk about this later on). While I was walking through downtown, I saw an interesting headline for an article from a progressive newspaper with the title “Merry Giftmas”. Though I only saw the headline, I could infer what the article was about. It gave me a pretty good chuckle. When I think about Christmas, I think about the Magi who went to see Jesus. It’s not so much that they gave Jesus gifts (although their gifts were hot!). It’s that they did acts that honored Him. They traveled miles and miles with the idea of worshipping Jesus in spite of the orders of King Herod. They risked their lives by not reporting back to Herod about the baby Jesus. They made a brave and honorable sacrifice for what they believed in. It was their act, not the gifts, that mattered. But what about us? What do we do today? Instead of honoring God, we get caught up on what to buy or what we want to receive from others. We fail to put actions behind our beliefs (James 2:17) . I often hear people say “we need to put Christ back in Christmas”. I disagree. Instead, we should take Christ out of Christmas and place Him in our hearts where He belongs. As for the holiday that we celebrate on December 25th, let’s call it for what it really is: “Giftmas”. I mean, that's what it's been reduced to, right? 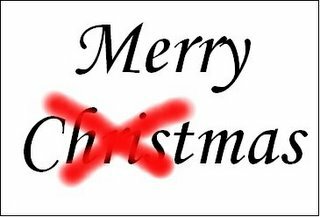 For all of you who may think that my ideas are too sacrilegious or blasphemous, answer me this: Have you ever found the word “Christmas” in the Bible? Have you read anywhere in the Bible where Jesus' birth was ever celebrated during His life, through His death or after His resurrection? Hmmm...? "He sees you when you're sleeping. He knows when you're awake. He knows if you've been bad or good; so be good, for goodness sake!" Apparently, Santa Claus was George Dubya all along. But as it appears, the American public hasn't been all that upset by this intrusion. In fact, Bush's approval rating has increased to almost 50%; almost 10 points higher than before the Patriot Act was extended. I guess that Americans would gladly hand their rights to privacy over to Dubya. Yes! Christmas day is finally upon you. As you race to the Christmas tree, your heart is filled with anticipation to see what Santa, your parents, the Great Pumpkin, or whomever, has left you. Eagerly, you rip through your gifts; certain that one of these packages is the Xbox 360 you've been dying to get or that Ipod your friend just got. But your excitement quickly turns into disappointment as you realize that the majority of your presents are underware. Underware?! You're kidding, right?! Who do your parents think they are?! With endless possibilities for gifts to choose from, these morons give you underware?! The nerve of them! Jesus (as a God's 'Christmas' gift to the world) reminds me of that underware that we used to complain about as children. Instead of receiving the video games, the bikes, or the toys that we wanted, we're stuck with some lousy underware. But, being blinded by what we wanted, we always seem quick to discount the value and the necessity of our Fruit of the Looms. I can imagine what people from Biblical times were imagining when they were promised Jesus. They were promised a Messiah. They envisioned a big and bold warrior who would gallop into the world on his white horse. They envisoned a man who was thunderous, graceful, and powerful enough to overthrow their Roman oppressors. But all they got was a poor and illegitimate kid who was born in a stable. A stable! You're joking, right?! The KING OF THE UNIVERSE being kept warm by the breath of a cow?! Wow! Some king! Little did they know, this stable-born lad would go on to do some pretty cool things. You know... like raising dead people, walking on water, giving sight to blind people, dying to save mankind from an endless life of suffering and torment in Hell. You know, simple stuff like that. Although this kid who was born in a stable wasn't even close to what the people wanted, he sure as h-e-double hockey sticks was what they needed. That said, we as Christians, we must realize that although God's blessings may not come in the shape, size, wrapping or timeline that we want, we must never discount them. We will never be able to fully comprehend the significance of God's gifts to us. God's gifts are immeasurable and priceless. Last I checked, they weren't selling salvation at Marshall Fields, or Wal-mart. Salvation is a gift which will run circles around an Xbox any day of the week. Let's keep that in mind this holiday season. And please...please be thankful for the underware! May God's grace be with you this holiday season! Along with many other cool things, Albert Einstein left us this great quote. I think I need to start applying it to my life a bit more. Lately, I've been asking myself lots of questions about why I bother to do certain things in my life, especially when they don't generate the outcomes that I expect or desire. Asking questions like this is a pretty good indicator that I need to make some changes. I've always had this habit of analyzing the patterns in life and trying to determine whether or not they're working. If I keep doing the same things that I've always done, it's pretty logical to conclude that I will get the same results each time. That being the case, why do I keep beating myself over the head doing the same 'ole things', when it doesn't appear that changes will ever come out of it? Am I repeating something over and over and expecting different results? If so, does that mean that I'm insane? How many more days do I need to oversleep to figure out that I need to start going to bed earlier? How many more speeding tickets do I need to get in order for me to slow the hell down? I think that Einstein summed it up best when he said, "The problems that exist in the world today cannot be solved by the [same] level of thinking that created them." To that end, if I continue getting results that I don’t like, maybe I not only need to change my behavior/actions, but my thinking as well. I think I can learn a thing or two from Mr. Einstein. I was talking to a friend about one of her friends. Apparently this person is one of those scary Christians who delight in going around beating people over the head with the Bible and refuse to show compassion for anyone not under the Christian banner. She thoroughly and vehemently follows the rules of the Christian doctrine. For this post, my job is to challenge her and the rest of us to be deviants. As Christians, we should strive to break more rules. In fact, I'm daring you right now to break the rules in your life. Particularly, I'm talking about the rules developed by the dominant church culture. You know, the ones that prevent us from loving people different from ourselves. The rules that disallow us to treat people with dignity and respect if their lifestyles aren't congruent with ours. It's okay to break some rules; trust me. After all, Jesus did. Remember when the angry crowd caught the woman in the act of adultery? According to the Law, this woman should have been stoned to death. 'Religious folks' (who, themselves were sinners) had no problem dealing out death to this woman (although, oddly enough, there's no record of them trying to punish the man. But, I digress...). Yet, Jesus, a perfect being, broke that "rule" by reserving his judgment for the woman. With that, I ask you: is there any type of sinner in our society whom we condemn because he/she doesn't conform to "church rules"? If so, it's time to break that rule. The Law also stated that a person could not heal and serve others on the Sabbath. The 'religious folks' would have simply allowed people to suffer and die, for the sake of not breaking the law. Again, I ask you: is there someone who we are unwilling to serve because the "law" tells us not to? If so, it's time to break that rule. Sometimes we, as a church, are so proficient at following the rules that we break God’s rules of love. The life of a true Christian is not limited to following a certain code of beliefs. Jesus does not offer salvation based on how well we follow the rules. If the Law was our saving grace, don't you think that Jesus would've placed a higher premium on it during his ministry? Instead, Jesus taught about love, forgiveness, and compassion to everyone; not just to a select group. As followers of Jesus we are challenged to awaken to the reality of God’s presence in the world and to love in a way that matches the love that Christ has for us. He has never said, "You'll only be accepted by me if you wear..." or "I'll only love you if you give $___ to the church..." Jesus' love does not have conditions tacked on. In that respect, neither should ours. Being a true Christian is about a relationship with God that transforms us into more compassionate beings. We are to be the loving presence of God in the world. As the Bible reminds us in Matthew 5:16, we are to let our lights shine before men so they will see our good works and, as a result, will glorify God. If your religious laws prevent you from being a loving, compassionate presence that this world needs, then it's time to break them. Break the laws that tell you not to associate with the unsaved so that you can avoid getting 'contaminated' by them. Trust me, you won't become impure by associating with them. If Jesus could fellowship with lepers, the poor, crazy people, tax collectors (a different type of crazy person...), and sinners, what makes you think that we can't do the same? If you are more concerned about a "rule" than you are the fact that there are needy people in this world, then you've clearly missed the point. As a note of advice: Stop quoting scripture to people and walking away. Stop imposing your laws and church norms on people. At the end of the day, it doesn't prove a thing to God. Luke 4:10-11 reminds us that even the devil knows the scripture. What makes you think that he doesn't also know the Law? So, you can throw out a couple of scriptures. Big deal! For a bigger challenge, stop quoting the Scripture and start living out the Scripture; more particularly, with a spirit of love, compassion, and understanding. Jesus did. Now, some of you may be asking: How do I break these rules? To answer this question, allow me to ask you a few questions of my own: Are there any types of people that your church refuses to accept? Start there. Do you hate gay people? Start there. Are there poor people whom you run into? Start there. Are there people who are attacked by and dissociated (detached) from your church if they don't conform to certain norms? Start there. Do you have run-ins with unbelievers or people who have different beliefs than you? Start there. Those are perfect places to start breaking those traditional rules that the church often sets. I think one of the problems is that we limit our service to God for one day a week. Church is not something you do just on Sunday. It's a lifestlye that evoke every day of your life. It's time for us to not just go to church, but to also be the church. It's time for us to stand up and be the Body of Christ. We should break whatever rules we following that turn us into fundamentalists who destroy people's way of life with what we believe. We must break whatever we follow that prevent us from being the loving, compassionate representatives of Christ in this world. We must break the rules that prevent us from embracing the "least of these". Relax! It's okay! I promise that you won't get in trouble for being a rule breaker. If you recall, I have a post in my blog that expressed my support for Randal on NBC's The Apprentice. Well, he won. And rightly so. But the 'controversial' way that he won has had online bloggers licking their chops with comments. In the season finale, the two remaining contestants for the prize of employment by Donald Trump (the idiot that he is) were Randal Pinkett and Rebecca Jarvis. Both contestants were absolutely amazing. But, when it was all over, Trump chose Randal over Rebecca. At the end, Trump asked Randal whether he should hire Rebecca as well, which would have been a first for the show. But Randal basically said "Uh...hell no!" He responded by stating that the show was called "The Apprentice, not the Aprenti", clearly implying that to win it all was the sole designation and there should only be one winner. Trump went with Randal's decision. Haters all over the place were calling Randal's move selfish and inconsiderate. But, was it really? I mean, didn't he have a point by stating that -- in a competition -- there is only one winner?! 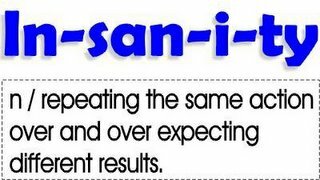 As much as we like to make people feel good by saying that "there are no losers", the truth this: there are. Not every basketball player makes it to the NBA. Not every actor receives an Academy Award. Not every Apprentice contestant wins a job. 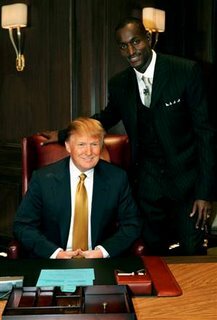 I think that what bothers me most about this whole thing is that the minute a black person wins on The Apprentice, Trump waters down the award by considering hiring both finalists. Where was that plan when Kwayme was fired over that white guy? I REALLY hope that wasn't Trump's intention. If it was, I'll have to go to NYC, track him down, beat him up, and comb that damn hair of his. 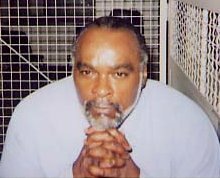 The State of California won a decisive round in the name of vengence as Stanley "Tookie" Williams was executed today. Though anti-death penalty protesters and supporters of Williams alike all came out in groves, there was no significant impact on the State's decision to procede with the execution. Before this event, I vehemently opposed the death penalty. After further review, I vehemently oppose the death penalty. Why did Stanley Williams need to stay alive? Well, consider the following. The death penalty is an inequitable form of punishment, where most of the victims are minorities. Since 1970, 80% of all people executed in state prisons have been minorities (largely Black and Hispanic). DNA is a monster these days. I mean, with one strand of hair you can learn just about anything about a person; his blood type, his size or his favorite television show. With this breakthrough, hundreds of death sentences have been overturned. The Tookie Williams who was executed last night was NOT the same vicious, insidious Tookie Williams from 26 years ago. Many pro-death folks are out trying to vilify him for things that he did YEARS ago. In doing so, they discount (or dismiss altogether) the work that he's done since. To that end, I've got another question: Even if he was guilty of those crimes, why not execute him at that point? Why wait until over two decades later, after he's clearly become a much better person, to carry out the execution?! Although people are quick REFER to the case 26 years ago, how many of them are as willing to REOPEN the case from 26 years ago -- especially given all the recanted statements from "witnesses", all the circumstantial evidence, and the non-admission of guilt that Tookie has always maintained?! The GUV-EE-NA kept questioning how Tookie could be 'redeemed' if he didn't apologize. Correct me if I'm wrong, but isn't an apology the same as admitting guilt? Tookie's 'redemption' was from his gang life; not necessarily from those four murders. If he maintains his innocence to those killings, why would he apologize for committing them? The death penalty (before and after Tookie) is an archaic, barbaric procedure that acts in a way completely opposite of the purpose of correctional facilities. Correctional facilities punish for the purpose of rehabilitating. The death penalty punishes by terminating. I take solice in knowing that Tookie's execution happened because God allowed it to. 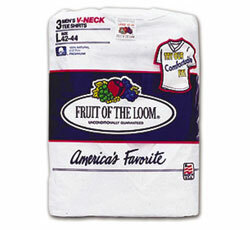 The fact is: whether Tookie was executed or not, his time on this Earth (as is ours) was limited. Nevertheless, he used his time effectively. He's done about as much outreach work for young people while incarcerated than most people do in their lives as free citizens. Just as the apostle Paul continued to do God's work while imprisioned or narrowly escaping the jaws of death, Tookie was able to use his time on death row effectively. But eventually, God allowed for his time to end, just like Paul, Peter, Dr. King, Rosa Parks, etc. This still doesn't dismiss the fact that I harbor ill feelings about the death penalty. For a nation who boasts about civility, it would be good if our rules, norms, and punishments also fit that label. I just got my second letter of rejection from Arizona State University. The first I received about a year ago for admission into its graduate school. The second, received only yesterday, was for a job opportunity that I was seeking. Rejected by the same institution twice in one year! Ouch! I have to admit: as the shame and disappointment of being rejected worked its way through my system, I thought to myself "I'm starting to grow decidedly impatient with God." Have you ever felt that way? Have you ever been impatient with God? Have you ever waited so long for God to perform things in your life, only to be disappointed when they didn't happen? Have you ever felt that you've done all the work in preparing for something while God was just sitting on His hands or off chillin' somewhere? When that happens to me, I often wonder, "When God? When?" But, I'm always reminded that, when it comes to God's timeline, the answer is always "When its time." God just opened my eyes to something. Although this was a pretty simple observation, I found that it was profound nonetheless. I was going to Walgreen's to get some cough syrup (for this lame cold that I've been having lately) and I passed a new office building site. For the past few months, as I passed the site, I only noticed the concrete foundation and a few beams. I rememembered thinking to myself, "My God! These guys are taking their sweet time!". But this time, as I passed the site, it was nearly complete! I thought to myself "Wow, they really built that office fast!" Then it hit me. They spent several months laying the foundation for the building, versus only one week or so assembling the structure on and around the foundation. The key part to this entire operation was the foundation. 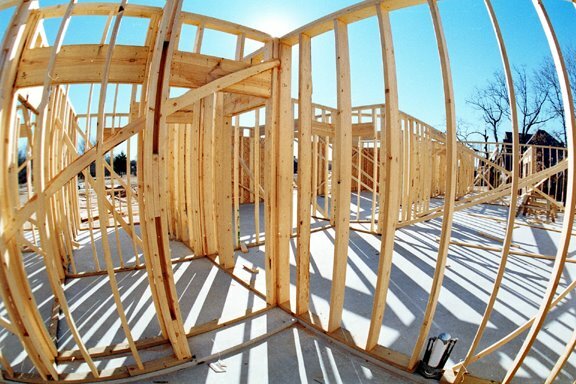 Without the proper foundation, no other successful building could take place. Attempting to rush the process without first establishing the foundation only hinders the longevity of the structure. Foundation comes from the Latin word fundare, which means to "lay the bottom or foundation of something; lay the groundwork for..." The builders knew to take the appropriate time to lay the proper foundation because they wanted to get things done correctly. In that respect, I need to trust that, since I'm apart of God’s grand plan, He is taking the time to lay the proper foundation in my life. That way, everything that He intends to "build" in my life will endure. Once that foundation is built, it's amazing how fast God can build the structure on and around the foundation. For all I know, God may be intending to build a HUGE skyscraper with my life. I don't know about you, but I want to touch the sky! But at the same time, I don't want my skyscraper to come crashing down because it was built too prematurely and without solid groundwork. I guess you can say that I'm a part of God's construction zone! At one point or another, we've all come face-to-face with life's ironies. One man, noting the regularity and -- seemingly -- the certainty of these quirks, decided to make a list of these observations. The result? The creation of the famous "Murphy Laws". "Broken" stuff will always work once the repairman arrives. When you're single, nobody wants you; when you're in a relationship, everyone wants you. Saying stuff like "Watch this" guarantees that the action I want others to witness won't happen. Objects I store away are never needed, until right after I throw them out. The one time of the day when I slack off at work is at the very moment my boss walks in on me. The traffic lights that I normally catch all simultaneously turn red when I'm running late. Spiritual growth can only occur when we make the decision to serve God and walk closer to Him. My world (school, work, social environments, etc.) is full of people who try to dissuade me from following Christ. Jesus will always be with me. He is coming back for His people. 2 Peter, though only 3 chapters long, reminds me of all these things. Peter addresses critical issues that we, as believers, must face during our walk with Christ which include: understanding the steps necessary for spiritual growth, identifying false teachers, recognizing the unchanging truth of the Gospel, and finding reassurance in Christ's return. You have Murphy's Law and you have God's Law. Which one is more assuring to you?! The Official Candy of 'Da Club'?! Well, this new-aged minstrel show often mistaken for hip-hop has taken yet another unfortunate turn. Just when I was starting to forgive my people for producing songs like "It's getting hot in heeere" (did Nelly intend to say "hot in here" or "hot in her"?! Your call...), or "E'erbody in da club gettin' tipsy", the music industry has found another way to molest hip hop and insult black culture. 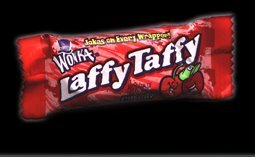 D4L (*note* I never even heard of them until now) just came out with, what's sure to be a crowd pleaser in the club, "Laffy Taffy"; where women's anatomies are being compared to the fruit-flavored candy. Now, I've seen some intellectually offensive stuff in my day (hard not to, with Bush being President), but this one takes the cake. Q: Is this what Black America has been reduced to?! Is BET the breeding ground for neo-minstrel-ism? If so, why aren't more of us outraged? Why won't we speak out? A: Maybe it's because we've got too much Laffy Taffy in our mouths. Most (not all, but most) of my complaints were not constructive. I often gripe about things I can't control. EVERYTHING seemed to bother me. I was incisive and, sometimes, flat-out mean with my complaints; even against "good" things. Avoiding people didn't stop me from complaining about them. I'd hit 'em with long range complaint missles. I tell you! It's truly amazing how God will reveal things to you if you allow Him to. Through my "fast" God showed me that I need to extract the 'gripeful' and, sometimes, unappreciative spirit that I manifest at times. As the song writer expresses, "Morning by morning, new mercies I see." Each day that I'm here is another day that God has blessed me to see. It's up to me how I spend it. Will I spend it thanking and glorifying Him for all He does or will I spend it whining and griping?